Over 3 acres of very buildable property ready for your private residence, family estate, bed and breakfast or boutique hotel. Great mountain, valley, river and ocean views make this a special property for sure. 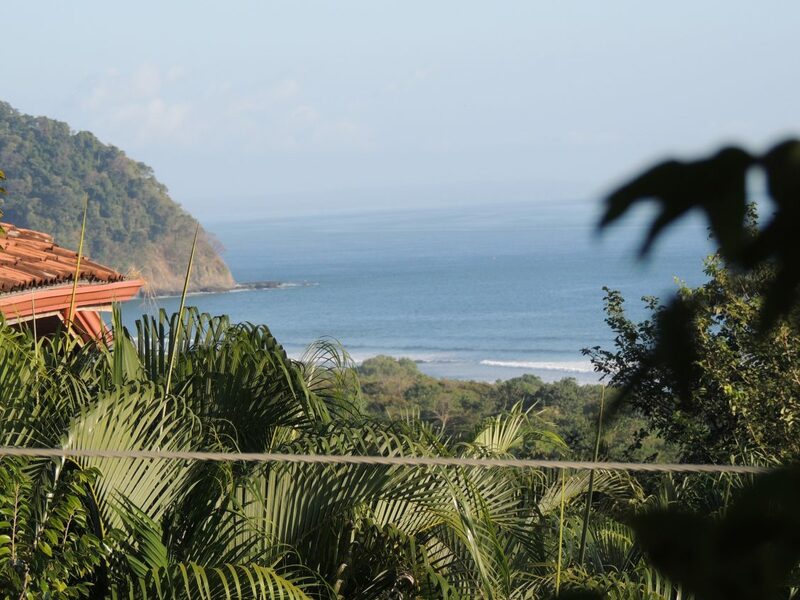 Overlooking Playa Camaronal and the Rio Ora, the property is located on a public road that dead ends just a 100 meters or so beyond the property line, so it is in a very private setting with luxury homes nearby. Now having year round access via the new bridge spanning the Rio Ora (only 8 minutes away) the location enjoys super access into the villages of Estrada (9 minutes), Carrillo (12-15 minutes) and Samara (20 minutes). Along the way you have access to over 40 restaurants and bars, several grocery stores, bakeries, fish and meat markets, 2 hardware stores, 2 banks, etc., plus the beautiful beaches of Camaronal, Carrillo and Samara. Want to enjoy a great afternoon – head south to have lunch at the 5 Star Punta Islita Hotel and Resort (10 minutes) and then enjoy the ARA Project, where they are re-introducing the giant Scarlet Macaws back into the Guanacaste Peninsula area. With a voluntary donation for admission, the project allows you to be in very close proximity to these magnificent birds while they feed. Want more of a daily adventure? Bypass Islita and take a day trip along the coast to Playas San Miguel, Coyote, Santa Teresa and Mal Pais – all within an easy ride by car or ATV. Owner will finance up to 50%, and is motivated to sell.